For the guy who has no reservations! 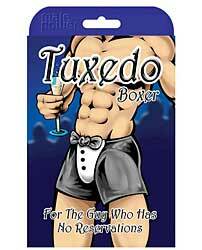 The Male Power boxer is made of 100% Nylon. The one-size fits most outfit has a tuxedo design on the crotch. Get your balls in an uproar!